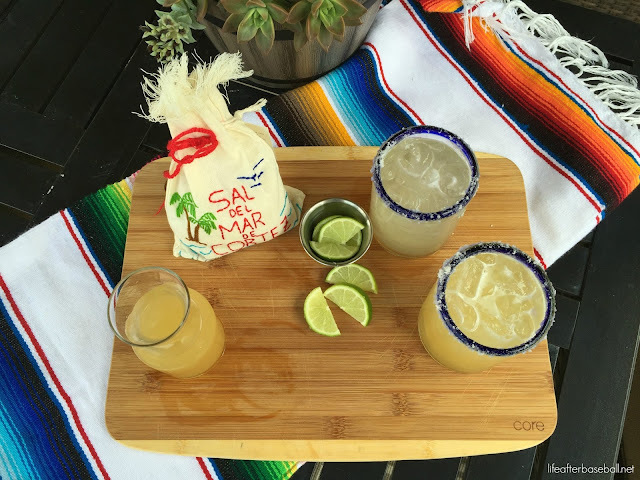 It's no secret that our margarita game around here is strong to quite strong and now we just took them to another level when I came across the most amazing gourmet sea salt that is just perfect to rim our glasses. 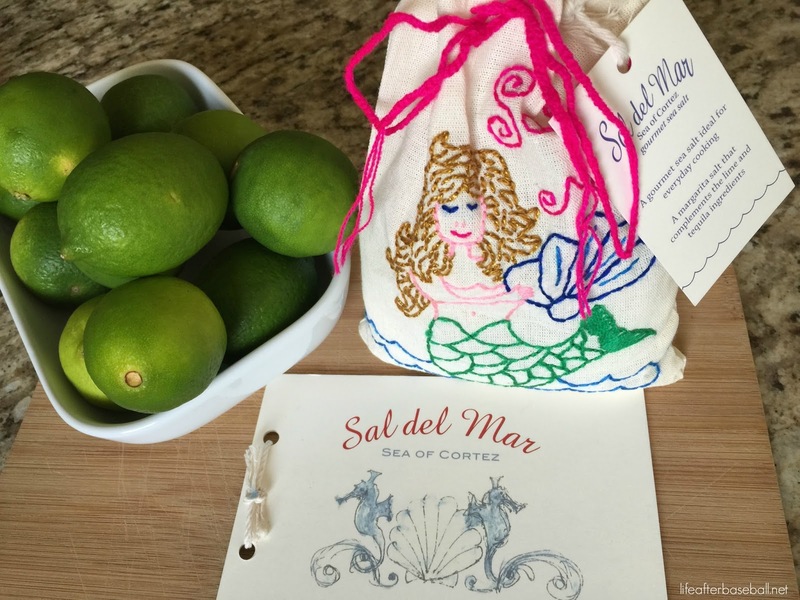 The brand is Sal del Mar and it's harvested from the Sea of Cortez (Gulf of California.) This course grain salt compliments the lime and tequila while it quickly dissolves leaving you with the most refreshing, smooth taste of your margarita. 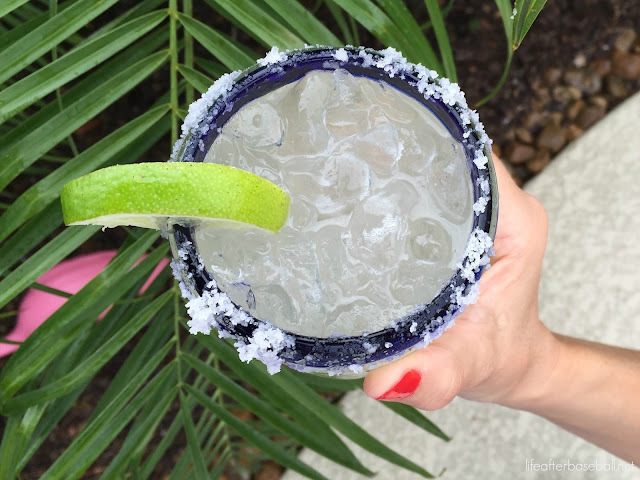 Trust me when I say...this isn't your usual salted 'rita. I'm thinking we might have to add another taco night to our weekly menu! 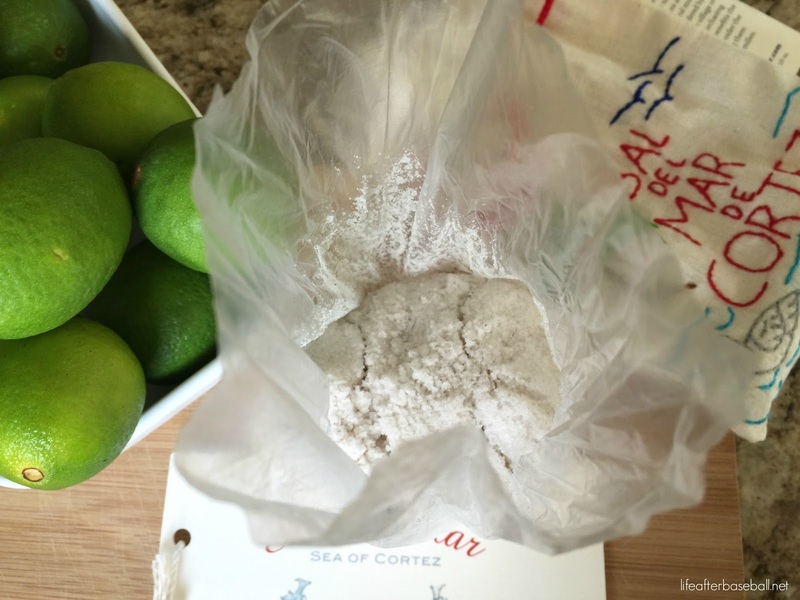 BTW if you don't enjoy an occasional margarita or two, this salt is ideal for cooking. Plus the cute embroidered cotton bag that the salt comes in is hand embroidered by Mexican women supporting their families. Cute right? To shop or read more about this brand and their process please click here. *P.S. This isn't a sponsored post...just sharing what I love. Those look restaurant quality to me!! Love the extra touch of cute design on the bag :) These looks amazing! That Margarita looks amazing! I am 100% making that for 4th of July! This margarita looks amazing Charity. I may not drink, but I can definitely appreciate a well made drink girl :). I may have to make these for my girlfriends. Those look so refreshing!! Perfect summer drink! Have a great weekend!